Had a Sunbeam EM5900 Artista for the last 4/5 Years(although the last 9 months it has been in storage).It still heats the water but nothing seems to get pumped. In the worst case scenario i need to find alternatives. I already have a Chemex, Aeropress and a ColdBruer. I recently changed grinders and got myself a smart grinder so i have about 200 dollars odd budget. Can you hear the Pump trying to operate? Have you gone through a Descale Clean for your machine at all? Welcome along your rocky road of faltering coffee machines! As Mal asked the question "Is Pump trying to operate". As the machine was out of action for the nine months,that's likely the problem,the Artista is about the only machine I haven't looked into (as yet) so I cannot guide you there,though seems to me likely the pump needs priming (if it's making a real racket "trying to operate ". The more recent models (EM6900 & EM6910) sometimes required brew/hot water run simultaneously to get the correct flow going,have you tried that (no hot water wand with your's). The Artista arn't bad machines (I've read about them) so surely it's something simple. Are you happy diving into the insides of your machine? For Sale Gaggia Classic with Silvia steam wand. 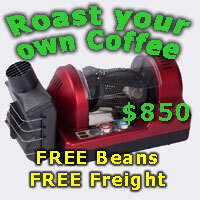 I must be really out of the picture regarding used coffee machine prices,I've got a few Gaggia machines up and running smoothly and the most I would put on a secondhand unit is $100 however,I'm obviously not $$$ hungry enough,new they are pricy,but there you go.Do you know anyone up here in 3690 area? Have gaggia's (Carizza,Dose,evolution,baby& classic). Last edited by mulquemi; 5th February 2016 at 06:31 PM. Reason: More gaggia's then I thought I had!